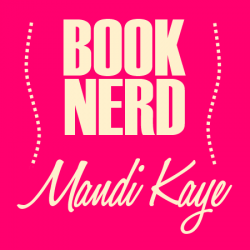 Reviewed at http://www.mandikayereads.com/archives/3117 (6/17/13)How I wish I had better things to say about this book. I was so excited about it! This is one of the books I picked up at BEA 2012 and, though it took me forever to read it, it was one that I had high hopes for. Science fiction and fantasy combined? Sign me up! But alas, it wasn’t meant to be.It took me forever to read it. I kept putting it down and not picking it back up. But there was just enough intrigue that it wasn’t a DNF. I think I kept hoping that it would redeem itself.The characters lacked depth. I never found myself emotionally invested in them. Even when reading it, I often found that I couldn’t remember the names of the two primary characters (just now, I had to look back to the publisher’s summary to remind myself).The world-building was virtually non-existent. He tried. You can tell that he tried, but it just didn’t do it for me. He never managed to successfully explain why the world was the way that it was and how it worked. When you’re talking about parallel existences and traveling between them, there has to be a level of explanation that simply didn’t exist.The villain of the story, the Magistra, was never fleshed out well enough for me to understand exactly what she was, why she was the way she was, and why I should care about her fate at the end of the story.These are all problematic for me when I’m reading a book. I want to be invested in the characters I read about. Hell, I want to become them. When I read, I should be transported to the worlds I am reading about, not struggling to understand the mechanics of how or why they work. 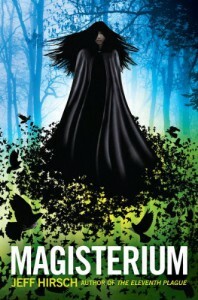 If I can’t understand them – or worse, don’t care enough about them to understand them – the author has done something wrong.And that’s what Magisterium was for me. I simply didn’t care enough about the world or the characters in it because the author didn’t give me a reason to.